Thank you for visiting the 100 Black Men of Maryland, Inc. We are an organization of caring and active African American men who are dedicated to improving the quality of life in our community through our collective resources, abilities and experiences. Our resolute commitment is in helping African American youth achieve success in education, health & wellness and economic empowerment through structured and purposeful mentoring. We are proud to be a thriving chapter among the more than 100 international chapters of the 100 Black Men of America. We are equally proud to have a strong history as a credible and trusted partner in Maryland communities for over 25 years. In 1991 our Chapter founders: Carl Smith, Gene Giles, Willie Nichols, Willard Wright, Scherod Barnes, Larry West, Walt Carr, Cleve Brister, Edwin Goden, Gulbert and Dailey laid the foundation that we continue to build upon today. Members of the Maryland 100 use their talents to make a difference! This is an exciting time for our Chapter! We continue to work towards increasing our capacity to serve the youth and community. 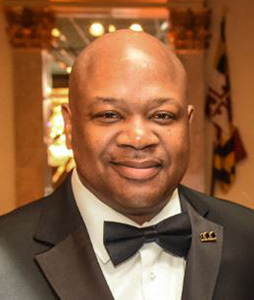 I invite you to take a few minutes to learn more about the 100 Black Men of Maryland. I hope what you see and hear on our website will motivate you to join us as a member, donor or volunteer. I believe you will find us to be an organization of men that not only care about our community, but an organization of men that do! Your participation, either through membership or other levels of support, is essential in our efforts to increase our capacity to serve the community through our programming efforts. Please join us as we help to improve the quality of life in the communities in which we live and work, as well as positively shape the lives of the youth we serve. Thank you for your interest and support of the 100 Black Men of Maryland.